Articles are key to the structure of your Docs site. This article is all about how to create a brand new article in Docs. Open up a collection. 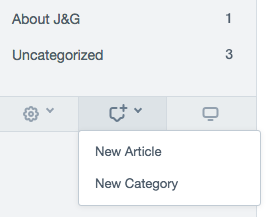 Once there, select the New Article option from the New (+) dropdown menu located on the sidebar. 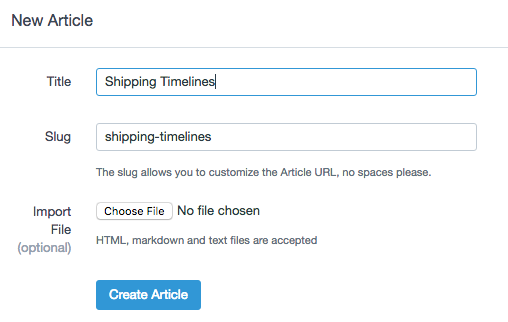 Give your article a title and a URL slug. The slug lets you customize the article's direct URL. Please be mindful of spaces! You're also able to import a file (HTML, markdown or text format) of already existing articles if you'd like as well. Start writing! If you have content that you'd like to migrate, feel free to copy and paste or drop in some HTML (by clicking on the HTML < /> icon). See our handy Docs style guide if you'd like to add some article eye candy. 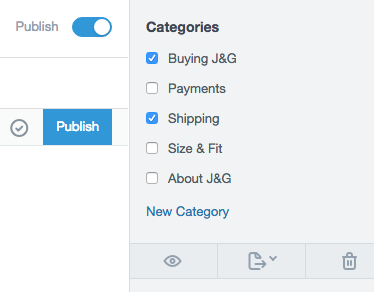 If you're happy with the article, make sure it belongs to a category, then click the blue Publish button when you're ready. 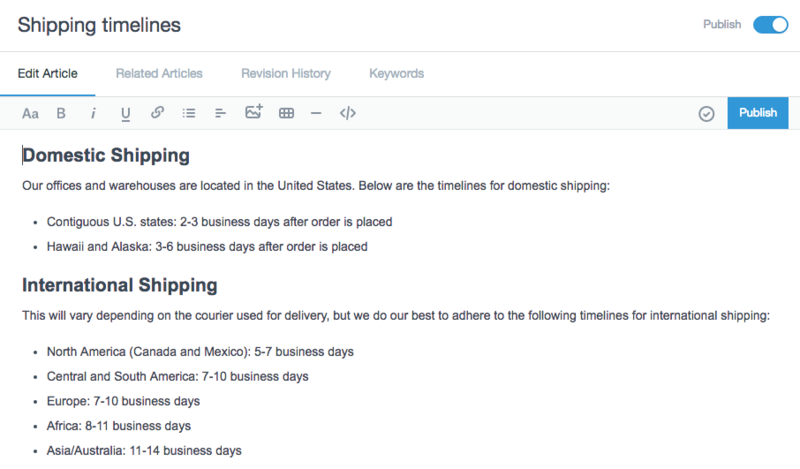 Articles are auto-saved as drafts as you type, so you can always come back and edit a draft before publishing.